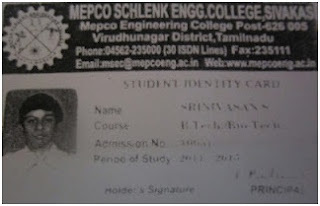 T.Nagarajan,s/o Thirumal patinamkathan,Ramnad is studying MBA in Syed Ammal Engineering College.Due to his poverty condition he is unable to continue his further studies. After analyzing his family situation and verifying his certificates ,The Sirpigal Foundation donated Rs.15,000 to continue his MBA course. 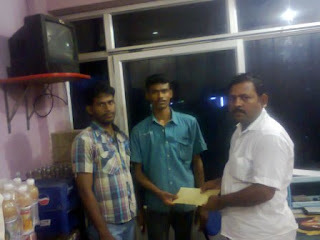 Our Foundation donated notebooks worth Rs.5500 to the students of Vidhyashram, C/O Human Uplift Trust ,Senjeri, Perambalur. Vidhyashram C/O Human Uplift Trust has 100 students in which 15 of them are affected due to HIV and remaining of them are orphan. Further the Foundation has a plan to conduct awareness program to them(regarding Need for Education). 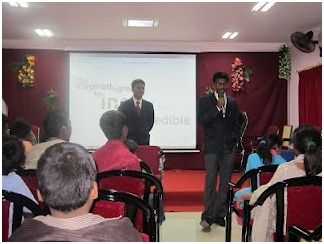 Our Sirpigal members of 7 conducted a 2days(25&26.5.2012) workshop on basic computer,mathematics and spoken english to 6th,7th and 8th standard students of "Sanmarka Gurukulam,Palani". 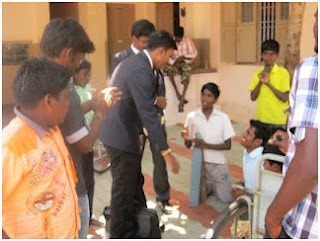 As we planned Mr.A.L.Amarnath and Kanagasabapathy's "Enteccon" team conducted an Awareness Program for the handicapped and orphan children on 26.02.2012 at "Angelo Home for Physically Challenged, Ramanathapuram". 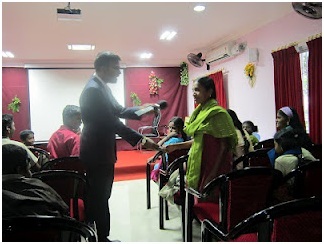 The program was about the need for Education for every human individual and the road to success in their career.The program had an enormous support from the students and the teachers of the institution. 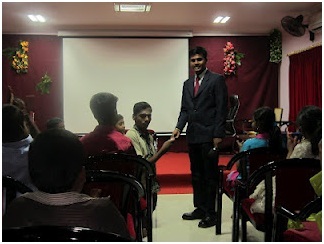 The program ended with a satisfaction of creating a renaissance in their attitude and minds. So people, we need your support for making the world hear from us. Another milestone achieved!!! 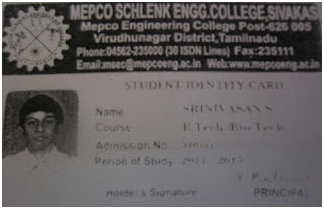 Mr S.Srinivasan Id Card Copy. 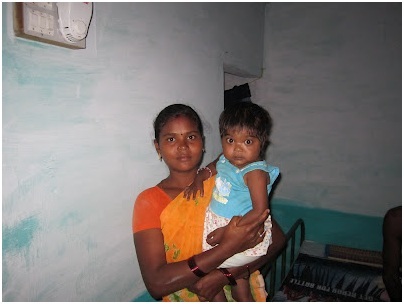 Tamilnadu government has come forward to help Ms.Maheswari, 2year old girl who has a complex congenital heart disease hence SIRPIGAL will provide fund for her medicinal expense and the remaining amount will be funded to Mr.S.Srinivasan of 1st year Bio-Tech Mepco Schlenk Engineering College who suffers from Severe Liver disorder currently in Global Hospital,Chennai.